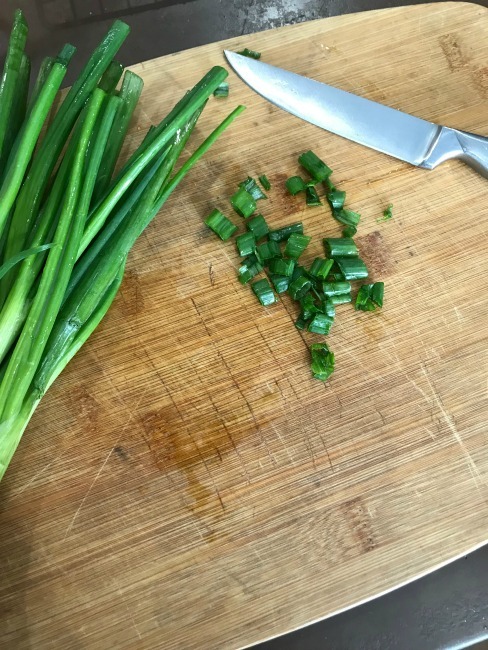 Green onions have such a great flavor. In our family, they don’t like to bite into pieces of a regular onion, but will allow green onions into their recipes. 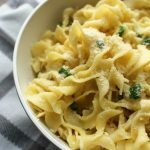 The onions add such a nice, subtle kick to the flavor and when you couple that with the Parmesan cheese, it is a delicious side dish to add to recipes such as Pork Chops, 3 ingredient roast beef or easy grilled chicken. So, you have your main dish planned and you are looking to add a quick side dish recipe to your menu. 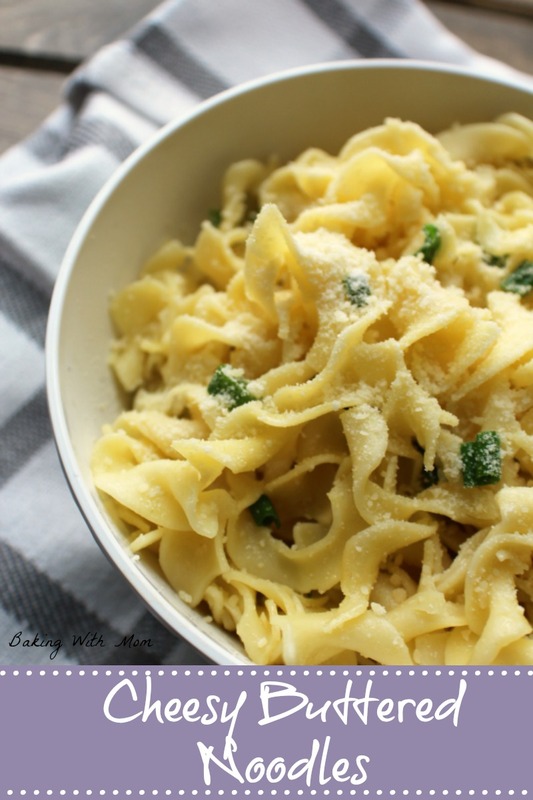 To make this quick recipe boil the water and add the egg noodles. Cook them according to package directions. It doesn’t matter how much you make. If there is only two of you to cook for, follow the package directions for that. If you have a family of 6, follow the directions for that. Drain the water and add 1-3 Tablespoons of butter. I would recommend 1 Tablespoon for a serving for two and 3 Tablespoons for a serving for 6 or more. 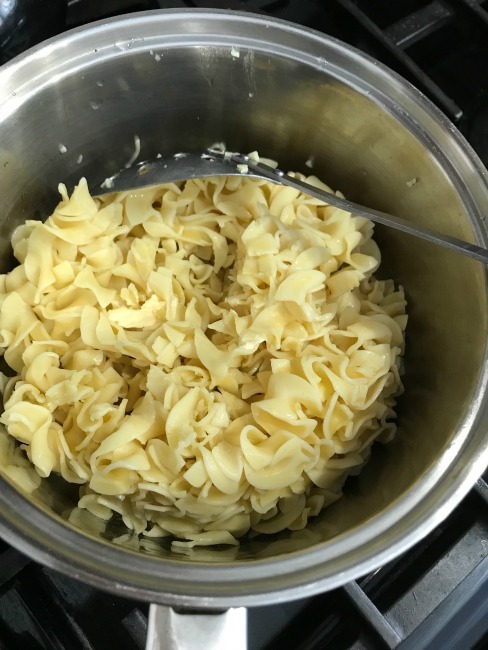 Stir in the butter so the noodles are covered lightly. Chop up the green onions and add to the noodles on low heat. Mix well. Cook on low for about 3-4 minutes while stirring. Remove from heat and place in bowl. 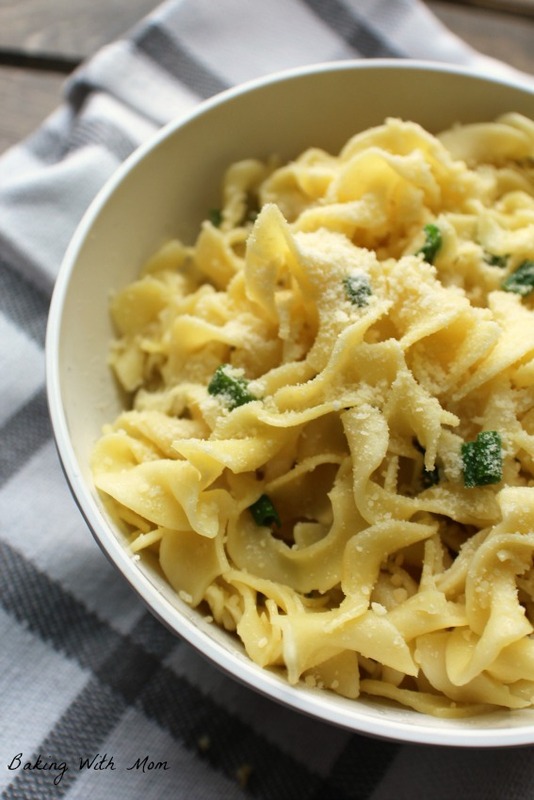 Add Parmesan cheese. 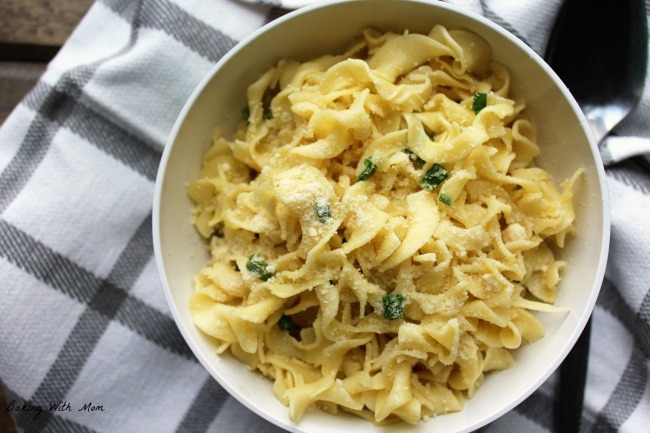 Cheesy Buttered Noodles has a unique twist in this classic side dish recipe. Green onions.